University of South Carolina student Samantha Josephson, who police say was killed this weekend after getting into a car she mistakenly thought was an Uber, died from multiple sharp force injuries, an autopsy found, according to the South Carolina Law Enforcement Division. "Samantha was by herself. She had absolutely no chance," her father, Seymour Josephson, said at a vigil on Sunday. "You guys have to travel together. ... You get into an Uber, you don't know if it's an Uber, you don't know anything about it." The 21-year-old Robbinsville, New Jersey, native was set to go to law school in the fall at Drexel University in Philadelphia, her father said. "I don't want anybody else to ever go through this again," he said. "I can't tell you how painful this is." Samantha Josephson was alone when she requested an Uber ride early Friday morning, Columbia police said. After she got into a stranger's car, mistaking it for her Uber, the child safely locks were activated, preventing her from escaping, police said. Her body was found in a wooded area near where suspect Nathaniel Rowland recently lived, police said. The college student's phone was found in Rowland's car, according to police. Rowland was arrested and charged with murder and kidnapping, said police. 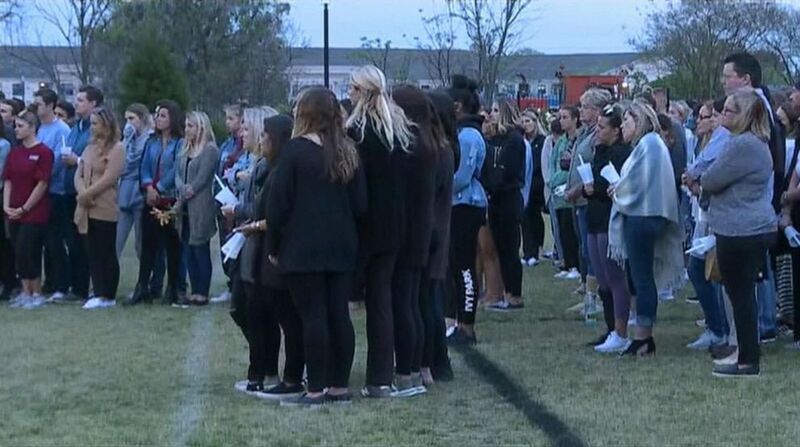 Hundreds gathered at Sunday night's vigil, sharing stories, laughs and tears as the sun set. 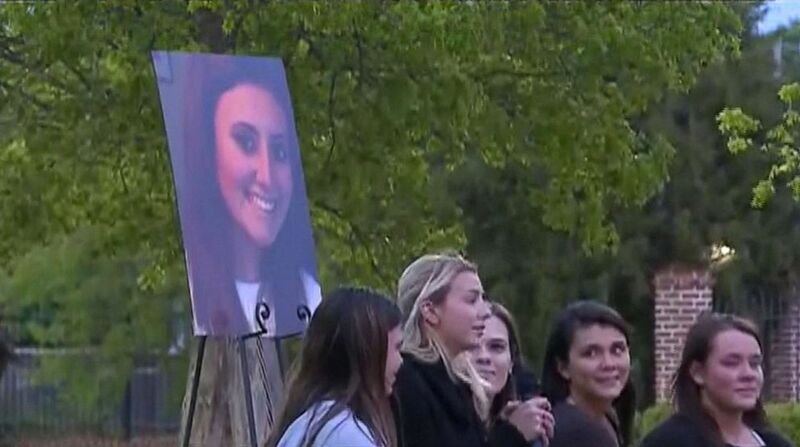 (WACH) People gather for a candlelight vigil at the University of South Carolina for student Samantha Josephson, whose body was found on March 30, 2019. "I saw such a clear future with her," her boyfriend, Greg Corbishley, said through tears at the vigil. "The last words she said to me over FaceTime on Thursday were that I was her person and she loved me and that she could truly be herself around me. And I'm just thankful she brought that out of me, too." 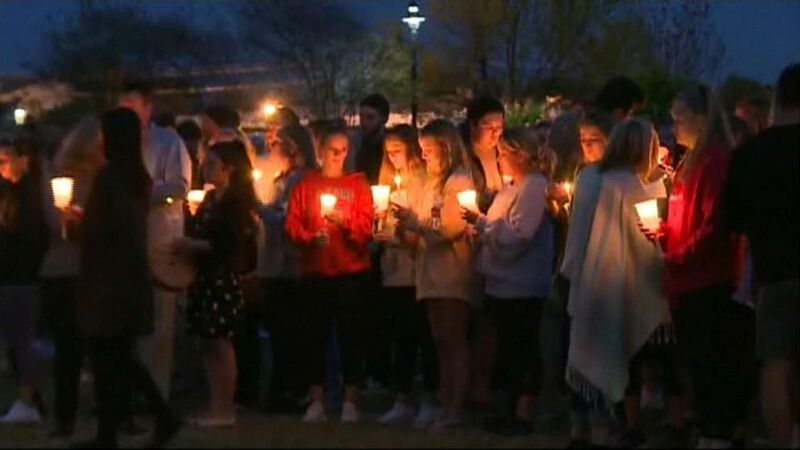 University of South Carolina president Harris Pastides said in a statement, "Our prayers are with the family and friends of Samantha Josephson following the devastating news of her death. Times like these leave me searching for words of wisdom and comfort. However, I take solace that the Carolina Family is here to embrace those who are hurting." Columbia Mayor Steve Benjamin tweeted, "We are praying for the Josephson family and Samantha’s friends in this incredibly sad time. Nothing mitigates the pain of the loss of a child but I have full faith & confidence in the men & women of the Columbia Police Department & SLED as they ably investigate this tragedy." Her funeral is set for Wednesday in New Jersey. Rowland waived his right to appear at his bond hearing on Sunday. It was unclear if he had retained a lawyer.